Magnetic / Conductive Sensing Foil Tape. Five foot length( wrapped around pencil ) - see smaller photo. Self-adhesive. 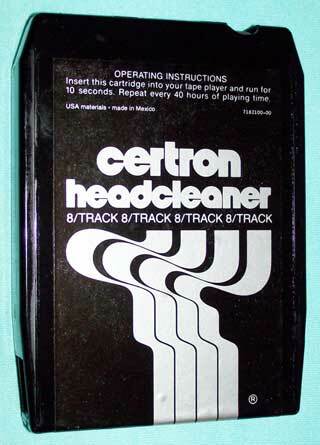 For repair of the splice in eight track tapes. Enough to repair 50 to 60 tape joints. You will receive a 5 foot length taken from the roll shown at top and carefully wound around the pencil. Sensing foil splice has been replaced. New cushion/pads. Very good condition. Stereo by Motown Records Corp.
Sensing foil splice has been replaced. Sensing foil splice has been replaced. Spring pads refurbished.